Moving is one of those life experiences everyone shares. Some people move every year or so in search of the cheapest rent or best location while others only move once or twice in their entire lives. But it’s still something we all have to go through at some point. Moving brings with it a wide range of emotions – excitement, nervousness, happiness, sometimes sadness, and almost always stress. Your first big move is usually the most stressful, but even seasoned pros feel it when the time to pack up and leave comes. To help lessen some of your moving day stress we’re here to provide you with the only packing guide you’ll need. The best way to ease the stress of moving is to be prepared. 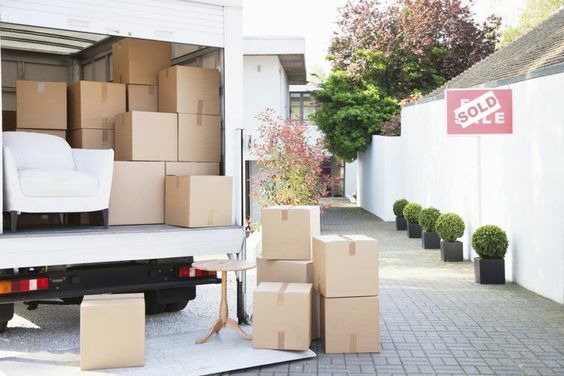 Even if the move is somewhat short notice there are still steps you can take to prep for packing before starting the process. Ideally you should start packing at least 2-3 weeks before moving day. To try to stay on track, consider adding moving tasks to your calendar. This will help get rid of last minute panic and hopefully remind you of when to tackle important tasks. Purge – If you know about your move far enough in advance there are some early stages of prep you can do. A month or more before moving is the best time to assess your possessions and purge what you can. Go through everything and be honest with yourself about what you really need to bring to your new space. Throw out or donate anything you don’t use, need, or love. This will save time when you start packing (since you’ll have less things to pack) and when figuring out where to put everything in your new home. If possible keep photos of your new home on hand so you can more easily visualize what you’ll have space for and what you won’t. 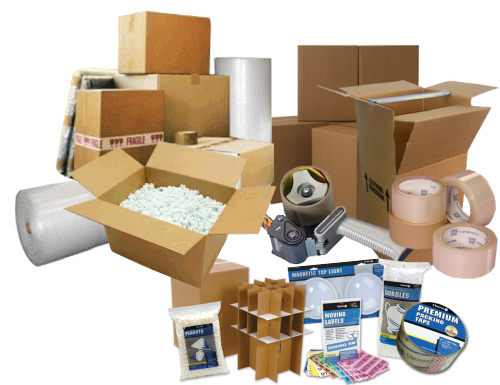 Gather Supplies – Gather all the supplies you’ll need for packing before you get started. It’s one thing if, near the end of the process you’re short a couple of boxes, but you don’t want to be running out every few hours to pick up more boxes, tape, or bubble wrap. Make sure you have plenty of boxes (either purchased from a moving supply store or picked up from the local liquor store), durable garbage bags, packing paper, bubble wrap, shrink wrap, and packing tape. You’ll also want to have a supply of markers on hand for labeling your boxes. Devise A Labeling System – One thing that will save you a lot of time and effort is to come up with a labeling system. The simplest way is to label each box with what room the contents of the box are for and give a brief description of what’s in it. For example: “Dining room – plates and bowls.” Some people prefer to go with a numbering system and keep a separate sheet with an inventory of what’s in each box. You could also use a color coded system to help you quickly sort which boxes belong in what room. It can get tiresome by the end of packing, but pick a system that works for you and stick with it! You’ll be thankful when it comes time to move everything in and unpack. Packing up the bedroom may seem like an arduous task, since there’s so many drawers full of clothes and a full closet. But actually the bedroom might be one of the easiest rooms to pack. Instead of emptying all your drawers, just remove them from the dresser and wrap them in shrink wrap. When you get to your new bedroom simply remove the wrapping and put the drawers back in place. This saves on boxes being used and re-folding time. 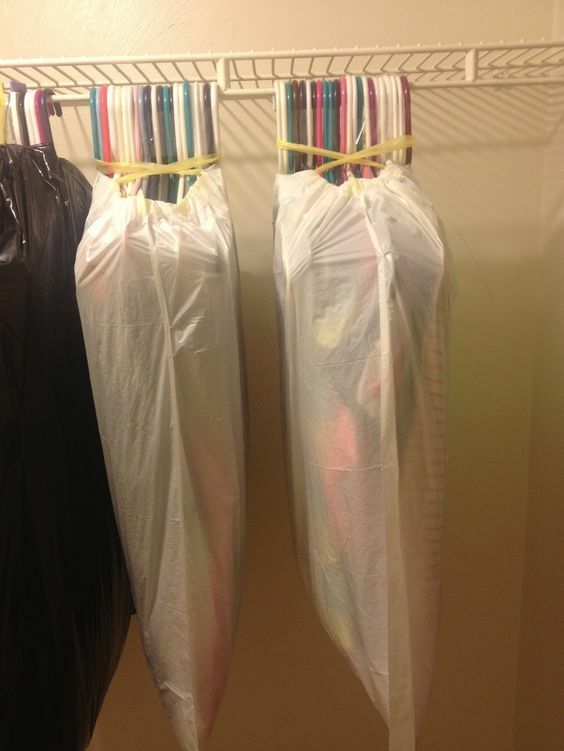 For clothes hanging in the closet, don’t take them off the hangers, just slide them into durable garbage bags and move as-is. Again this saves both time and space. Moving your mattress will likely be the hardest part of bedroom to move. Make sure to wrap it either in plastic or a moving blanket to keep it from getting dirty on the move. And don’t transport it on the roof of your car! This will only increase the odds of it getting dirty and shorten the mattress’ lifespan. The living room likely has the widest range of objects you’ll need to figure out how to pack and move. 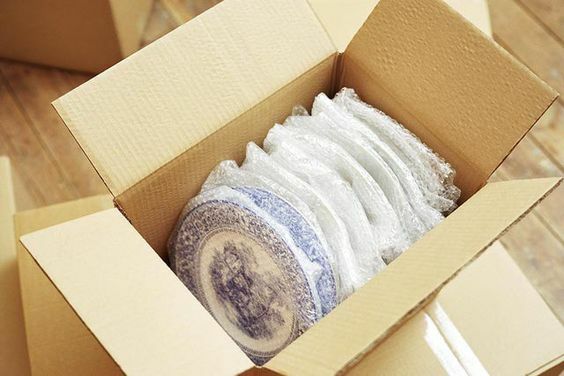 To save time closer to moving day you can pack up decorative objects a week or two in advance. Your space might feel a little bare, but it’ll save time as moving day nears. When packing books, make sure the boxes don’t become too heavy. They still need to be easily lifted, and you don’t want the bottom of the box to fall out. Furniture should be wrapped in moving blankets and bubble wrap or cardboard should be put on any sharp corners to avoid damage to the piece itself and other objects. If you saved the boxes your electronics came in, move them in those boxes since you know they’ll fit and be protected. Consider taking a picture of the back of your television and entertainment center before unplugging any wires so you can easily get things up and running again in your new home. Houseplants can be tricky to move, since you don’t want dirt spilling all over the place. For shorter moves you can simply place plants in open boxes. This will provide stability and catch any dirt that does spill. If you’re moving in the winter, wrap plants with newspaper to help limit exposure to cold temperatures. If you have any tall plants that may need to be laid on their side, pack the top of the pot with sphagnum moss to keep everything in place. Unfortunately a lot of bathroom products have to wait until a couple of days (or day of) before moving to pack, since most of it is stuff you use every day. If you have a lot of towels you can pack most of them in advance. When you roll your towels you’ll be able to fit more in a box than if they’re folded flat. If you’re transporting any mirrors, put an X of painters tape across the glass. While ideally your mirror will make it in one piece, the tape will help keep it from shattering and sending glass all over the place if it does break. 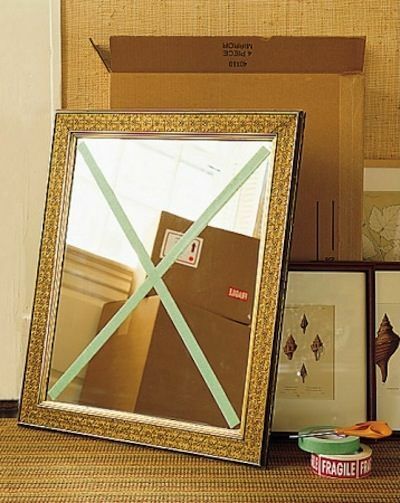 After it’s taped, wrap the mirror in bubble wrap and place in a sturdy box. For any open toiletries, remove the cap and put a piece of plastic wrap over the opening, then replace the cap. This will help prevent any spills. To be doubly safe you can then put the bottles in gallon-size zip bags. Once moving day is a couple of weeks out, taper off buying new food from the grocery store. Keep food on hand for meals you’ll eat before moving and some snacks and ingredients for the first night or two in your new home, but you don’t need to move 3 boxes of canned goods and baking supplies that can easily be purchased from your new grocery store. The kitchen is probably one of the most stressful rooms to pack since it’s full of fragile objects like plates and glasses. This is where you’re going to use the bulk of your packing paper and bubble wrap. Unfortunately, everything does need to be wrapped individually in paper. Once they’re wrapped place your kitchen items into the box in rows, with the heaviest items on the bottom of the box and the lighter objects at the top. Plates and bowls should be loaded into the box on their side, not laid flat, while cups and glasses should be placed standing up. Use wadded up packing paper to fill any gaps in the box. You don’t want breakable objects shifting around during the moving process. If you’re using professional movers, once moving day comes you won’t have too much to worry about if you’ve gotten everything prepped and packed in advance. If you’re doing the moving yourself, either with a moving van or just cars, it’s important to have a moving strategy in place. Load the heaviest items first, and keep them closest to the floor. 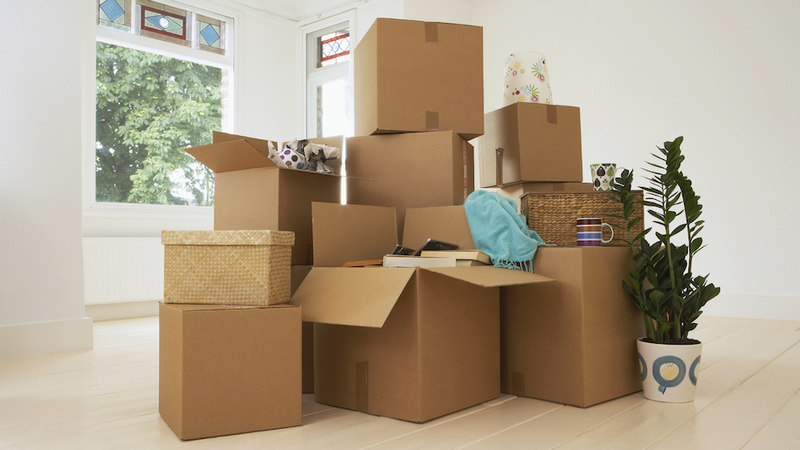 Pack boxes in tightly to prevent them from moving around during turns and stops. 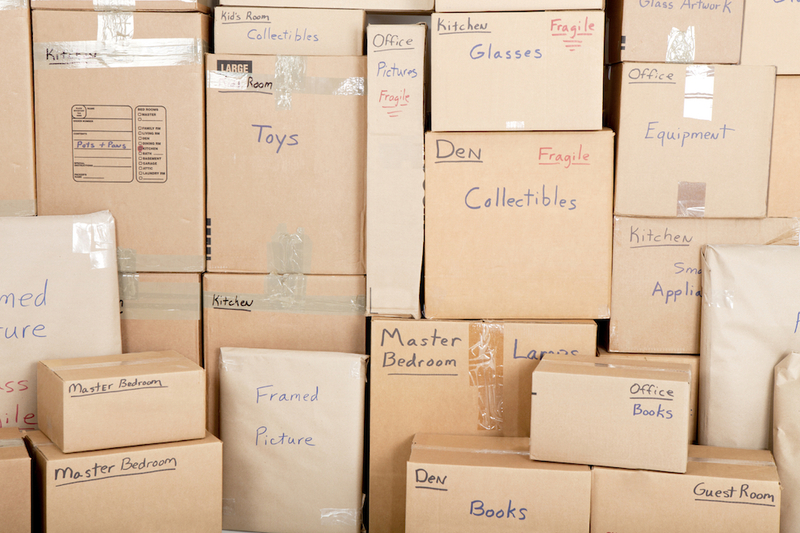 Once you get to your new home, put the boxes in their proper rooms immediately. You don’t need to start unpacking, but having them in the proper location is less overwhelming than opening the door to a stack of boxes. One last item that’s incredibly useful when moving is an essentials box. This is for items you’ll need for your last few nights before you move and the first few nights in your new home and will allow you to not scramble to unpack as soon as you’re done moving everything (or having to unpack before leaving because you realize you need something). Hopefully now you have all you need for a comparatively stress-free move. And once all the boxes are moved in you can start on the best part of moving – decorating!